On The very edge of Europe, the Wild Atlantic way stretches for 2,500km (1,500 miles) along the West Coast of Ireland. This will be Ireland's first long-distance driving route, stretching from the Inishowen Peninsula in Donegal to Kinsale in Cork visiting regions like Connemara, Galway Bay and Kerry. 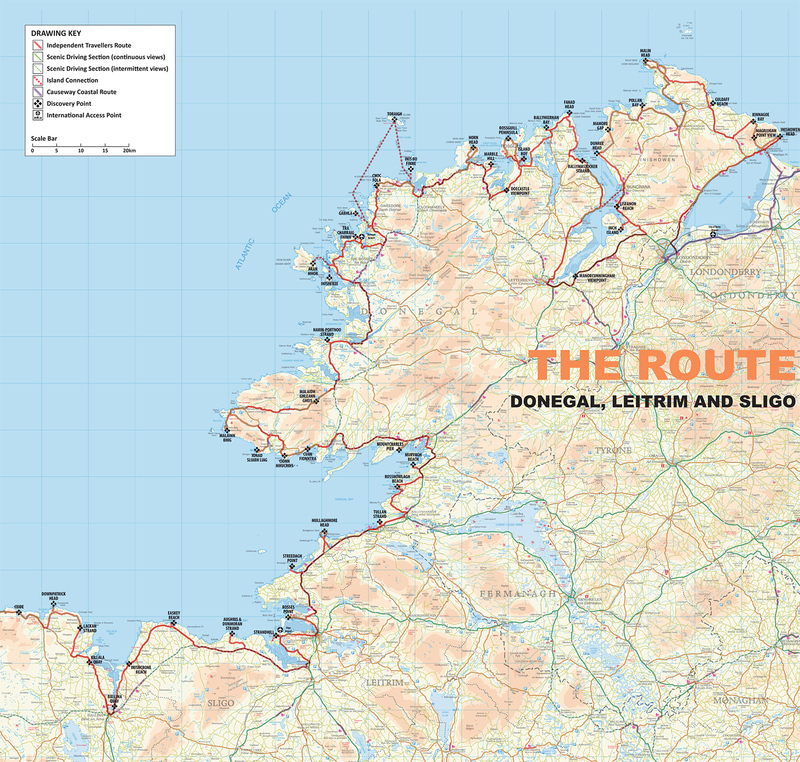 The route has been specifically chosen to allow visitors to discover all the highlights of the west of Ireland's dramatic coastline, with discovery points for tourists along the way. Leave the ordinary elsewhere, visit the Irish west coast and immerse yourself in the unique Wild Atlantic Way of life..